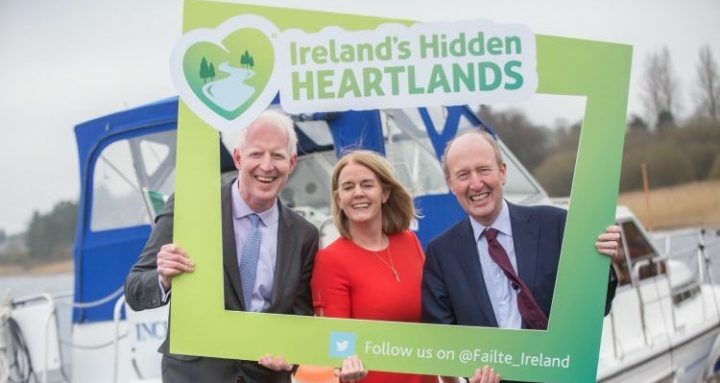 Fáilte Ireland today unveiled ‘Ireland’s Hidden Heartlands’ as its latest new tourism brand – designed to boost tourism and drive visitor growth across the Midlands region. Ireland’s Hidden Heartlands will cover the ‘heart’ of the country, from Leitrim down to East Clare and extending through Longford, Roscommon, East Galway, as well as parts of Westmeath, Cavan, North Tipperary and Offaly (click here to view map). It will complement Fáilte Ireland’s other key brands – the Wild Atlantic Way, Ireland’s Ancient East and Dublin.